Between Legent and Suntory Ao, Beam Suntory is releasing products not seen before from the company. Ray Daniel, brand ambassador, joins us to talk about the whisky coming out, and the life of a brand ambassador! We also talk about the Wonderful World of Whisky Show. Thank you to the Wonderful World of Whisky Show for providing accommodations. Check out the show in 2020 coming in March 28th. 128: Toasting Memories with $30k Worth of Whiskies! Mark & Jamie taste through The Balvenie DCS Compendium Chapter Four for the first time. This collection typically retails for $30k US, and this year’s theme is “Expecting the Unexpected.” While enjoying a few drinks, Mark and Jamie review 2018, Jamie’s work as Brand Ambassador, and we look back over the years of the podcast. 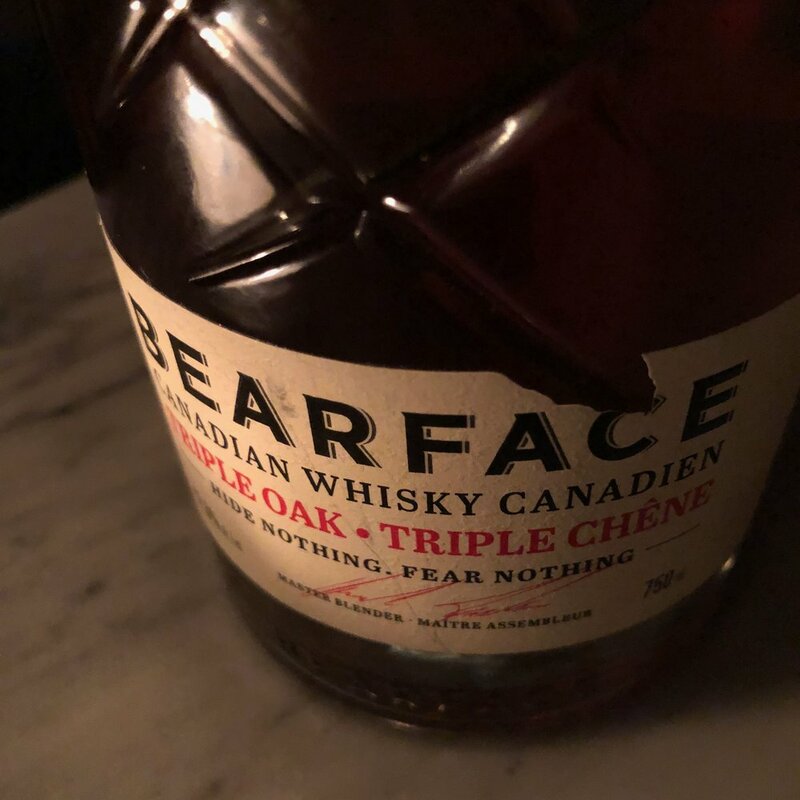 Master Blender, Andres Faustinelli, tells us how he uses a wine-like finishing process to blend Bearface whisky. That process includes short finishing using French oak ex-wine barrels, and new Hungarian oak barrels. Andres deconstructs Bearface from start to finish, and tells us how he succeeds by asking the wrong people the right question. Bry Simpson, the Brand Ambassador for Ardbeg and Glenmorangie, joins Jame and Mark on the podcast. We talk about Bry’s origin story, we debate which distillery released double cask maturation first, and drink plenty of delicious whiskies! Mark Bylok interviews Dr. Don Livermore, Master Blender of Hiram-Walker Distillery. We introduce the Northern Border Collection Rare Release of 2018, including Lot No. 40 Cask Strength, Gooderham & Worts Eleven Souls, J.P. Wiser’s 35, and Pikes Creek 21 Year Old! We geek out over the Canadian flavour wheel, and how Dr. Don is using the flavour wheel to tailor blends of whisky. In the early days, Raymond Davidson ordered his whisky in a wine glass when drinking at the bar. Already being in the crystal business, he had enough of this, and created what we now know as the iconic Glencairn Glass. It wasn’t until his son Paul found the glass, that this was turned into a product primarily intended for whisky trades-people. While when originally released (back in 2001), it was intended for trades people, it’s the glass many consumers use to enjoy their whisky. Raymond Davidson joins us on the podcast. We speak about the Keepers of the Quaich, the importance of glassware, and how to win your very own Glencairn with the whisky.buzz logo! On Instagram, post a photo with your favourite bottle of whisky and (if you have one) a Glencairn glass, with the hashtag #thewhiskytopic #whiskybuzz #glencairn! We visit the Eagle Rare Lab, newly opened, where Master Blender Drew Mayville builds some of the best bourbon and ryes coming out of Kentucky from Buffalo Trace Distillery. Drew takes us through the new lab, and we do a tasting of whisky (of course!). We discuss the essence of George T. Stagg Bourbon, the story behind Taylor Four Grain, and explore a brand new expression from Weller as chosen by Buffalo Trace fans! Brett Ferencz combined his passion around whisky, Star Wars and photography to take a hobby into a full-time job. 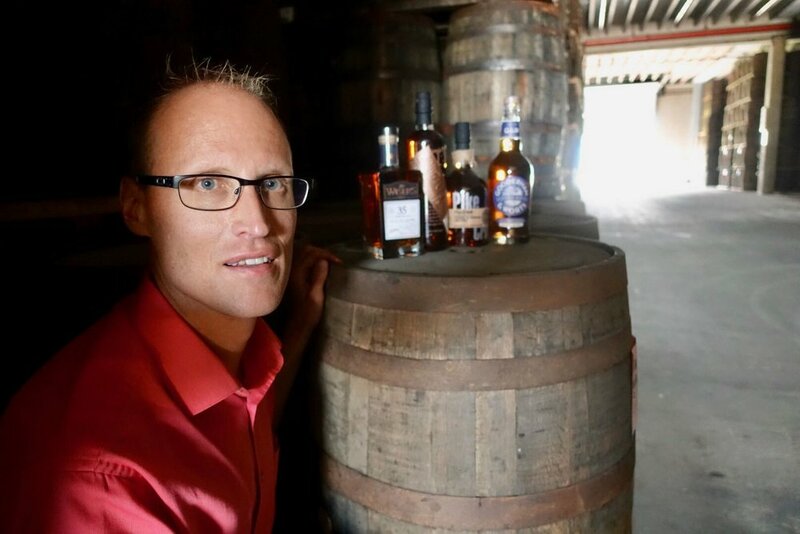 His account took a hiatus when a complaint was filed against Brett and the brands he worked with, in around using Star Wars figurines to promote whisky products (the complaint is unrelated to the Star Wars franchise). Brett tells us about his tribulations, and his return to whisky photography! Fred Minnick joins the podcast to talk about the history of trade wars, including the most recent bourbon tariffs enacted against Bourbon. We also talk about Fred Minnick’s latest book on mead, writing, and a special bottling of Jack Daniel’s Single Barrel. Note: Apologies for some of the audio issues. I (Mark) didn’t notice a mic wasn’t working. Buy many of the books mentioned on the podcast in our shop. 118: Tales of the Cocktail Goes in a New Direction! Tales of the Cocktail is under new ownership! Director, Caroline Rosen, joins us to talk about the cocktail conference for 2018 returning to its home in New Orleans! We talk about events, parties, seminars, and the cocktails we drink. The podcast, though, starts with a state-of-the-union for the podcast where we introduce Bryan Goman to the team. Mark Bylok is joined by Crown Royal's North American Brand Ambassador, Stephen Wilson, and Crown Royal's Master Blender, Mark Balkenende. Crown Royal Bourbon Mash has taken on controversial note when using the term "bourbon" in a Canadian whisky. We cover the reasons why. Plus, Mark gets surprised by pour of a special whisky! 116: The 2018 Bottom-Shelf Bourbon Brackets! Eric Burke, of BourbonGuy.com, returns to the podcast for his annual look at the best bourbons to buy on a budget. This year, though, a few ryes were introduced into the picture! We talk about whisky reviews, ratings, and what to look for in an affordable whisky! Igor Kossov (@whiskyvip) and Jason Hambrey (@jasonhambrey) join Mark in the town of Cornwall, to drink a lot of rare whisky that's nicely stirred with great whisky storytelling. Mark Gillepsie (WhiskyCast Podcast) and Davin de Kergommeaux (Author of Canadian Whisky: The NEW Portable Expert) have been in the industry longer than most. Davin is a Malt Maniac, and Mark started his podcast far before whisky (and podcasting) has rose in popularity to today's level. We talk about Bourbon made outside of Kentucky, Blended Scotch, Single Malt Scotch Finishes, the "other world" whiskies that are made it big, and Canadian Whisky. Frankie Solarik of BarChef takes us through the cocktail program at BarChef, his roots, his inspirations, his creative process, and we talk about his new product—The BarChef Project. The recipe a bourbon starts with during fermentation is the DNA of the whisky, but it’s not everything that goes into the whisky. We discuss the most famous bourbon, Pappy Van Winkle, and the other whiskies that share its recipe and have likewise enjoyed fame and inflated prices! In this episode, we drink Old Rip Van Winkle, William Larue Weller, and Weller Antique 107. John Quinn is the Global Brand Ambassador for Tullamore Dew. We speak about the Irish Whiskey industry, through it's recent history (70s to today), and taste a deconstruction of Tullamore Dew as well as something new!